Finding The Right Running Shoe! Article by Nick Newman. Check his BLOG & TWITTER. For me when participating in any sport your footwear is a key piece of equipment and for running in particular it is something that you need to get right otherwise your performance can be effected plus you can do yourself a mischief at the same time. I often wonder if people put any leg pain down to the fact that they are running and not down to the fact that they are using footwear not suitable to their individual needs, the key word there is individual as everyone has different needs when they run. Over the years that I have sold running footwear I have been asked so many times what the best shoe is and that is a near in impossible question to answer, just because a shoe is £140 doesn’t make it the best shoe for you, it all depends on what YOUR needs are. For example, how often do you run, what surface do you run on, do you have any injuries that need to be taken into account. I don’t want to make this post using jargon and terms some may not understand so will try and make it as simple as possible, if I do use any I will try and explain as best I can. If you are looking to start running the biggest piece of advice that I would give you is to go and get a “Gait Analysis” done. A gait analysis is simply an analysis of how your legs and feet work when you run, your foot is your bodies natural shock absorber and support system so it needs to be looked after. You can get a gait analysis done at most specialist running retailers, I would recommend Sweatshop or Runners Needs. 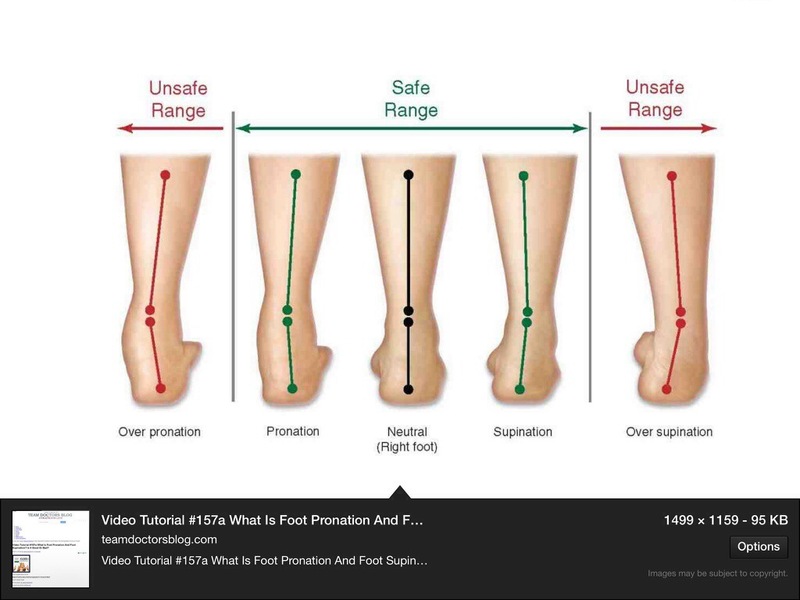 The main point they look for during the process is the degree of pronation your feet have. Pronation is your foots way of naturally absorbing impact, some feet pronate to much and others not enough and seeing this the correct category of shoe can be recommended. The vast majority of people’s feet roll inwards to absorb shock from impact. Some peoples feet role outwards which is called supination, it is quite rare to find someone who supinates. Pronation= 3 Dimensional inwards rotation of the foot, when in contact with the ground your foot is moving in 3 directions, downwards, inwards and forwards. The picture below illustrates degrees of pronation. You’ve had your analysis done and now know what your feet do when running and it time to get fitted with the right shoe. The person doing your analysis will probably use terms like neutral, support/motion control when it comes to suggesting what category of shoe you need. NEUTRAL. 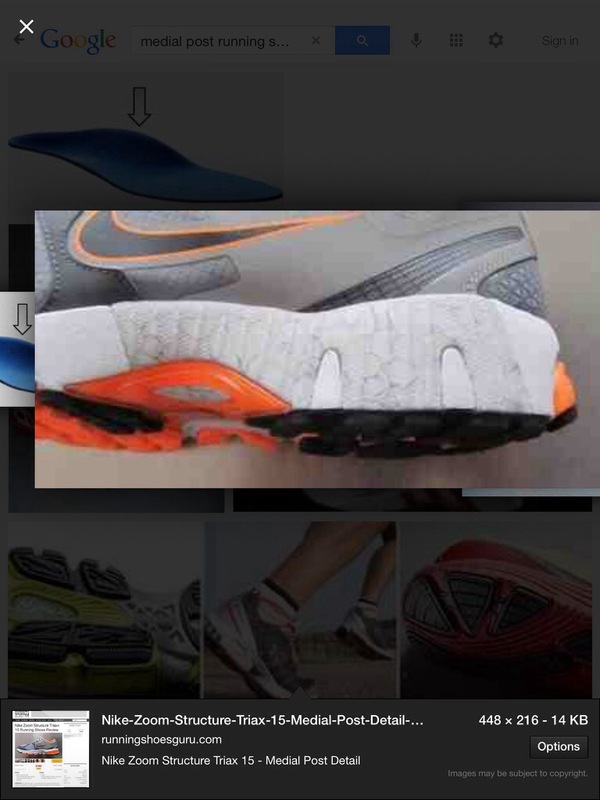 looking at the above picture your foot fits into the middle 3 examples so your foot supports you well but doesn’t naturally absorb impact so a neutral shoe is flexible and often more cushioned than a supportive shoe. SUPINATION. Your foot is normally very rigid and absorbs minimal impact so you need a nice flexible and cushioned shoe. PRONATION OR OVER PRONATION.,far left example. Your foot has rolled in beyond a safe degree and your possibly putting strain on various parts of your legs so you will need a shoe that is stiffer and one with a support device. The device in the shoe that supports you is called a medial post and is found on the medial(the medial side is the inside of your foot looking down at you feet)side of the shoe and is located in the midsole, it is more often than not grey in colour. 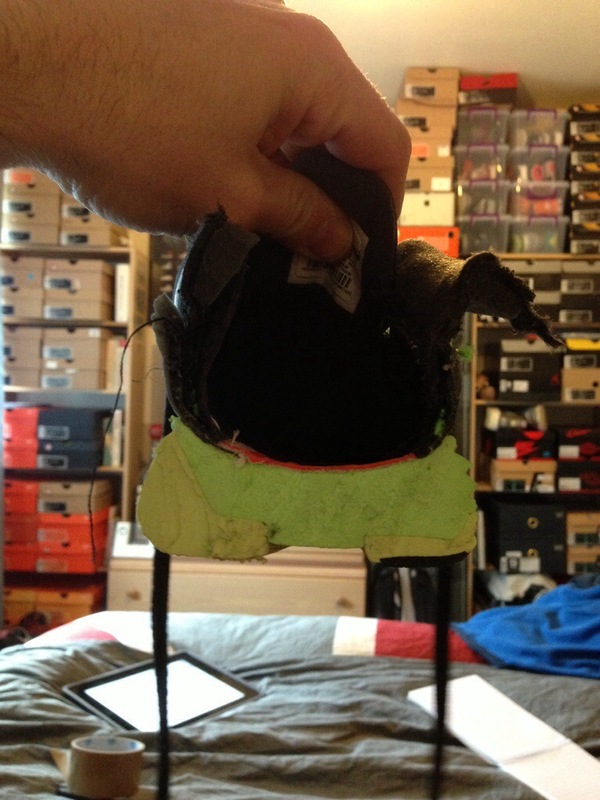 The post is a denser foam compared to the rest of the midsole and it’s purpose is not to stop your foot from rolling in but to control the degree in which it does. It will normally start just before your arch( it can extend all the way to he heal) and extend beyond it depending in how much support your shoe has. Here is an example of what a medial post looks like. There is another system that has been developed by the clever chaps/chapettes at Nike and this called Dynamic Support. The geeks in the innovation kitchen have developed a system that offers the support as and when it is needed but without the weight and stiffness that a traditional support shoe carries. Keeping it simple, the inner green foam is softer and thicker on the lateral side of the foot as this where your initial contact with the ground is and where you need the most cushioning to absorb the impact. The yellow foam is firmer and thicker on the medial side so as your foot rolls inwards you engage more of the firmer foam and therefore getting the right level of support you need. Clever buggers! So now you have been been suggested various shoes here are some tips I would suggest you follow when trying shoes on. 1. Try various brands to find a brand that fits the shape of your foot the best, brands differ in size quite a bit. 2. Always a try on both shoes as most peoples feet are different sizes, no your not weird it is very common. 3. When you have both shoes on make sure that they are laced tight enough that they is no slack, the laces will only loosen when you run and this will effect the fit. 4. Stand up, your feet spread out when you stand and you will have a better idea of the fit, also kick your heels back so you have snug heel lock down. For me the lock down is very important, if you foot isn’t being held on the midsole of the shoe you will not get the full benefit of the support or cushioning. 5. Make sure you have between half to a full thumbs width at the end of your toes, this should be measured from your longest toe and in some cases this can be your second toe and not your big toe. When your feet get hot they swell up so you need to allow for this otherwise you run the risk of not being able to wear sandals in the summer!! 6. Do not try a different shoe on each foot, midsole heights and fit can be different. 7. You often have to go up half if not a full size in a running so don’t assume your normal size will do. 8 Allow yourself enough time to make the right decision, don’t rush and make a decision you may regret. 9. Have the socks with you that you will be using when running, there are varying thicknesses of sock so you don’t want to buy a shoe and get home that they don’t fit with the sock you will be using. If this helps 1 person I will be happy but obviously would love it to help more! IF YOU HAVE A BODY YOU ARE AN ATHLETE, and don’t let anyone tell you otherwise. And finally I wish you all a Happy New Year and hope you all fulfil your running dreams no matter how small or large they may be. Mine is the Berlin Half Marathon on the 30th March a week after my 39th birthday.